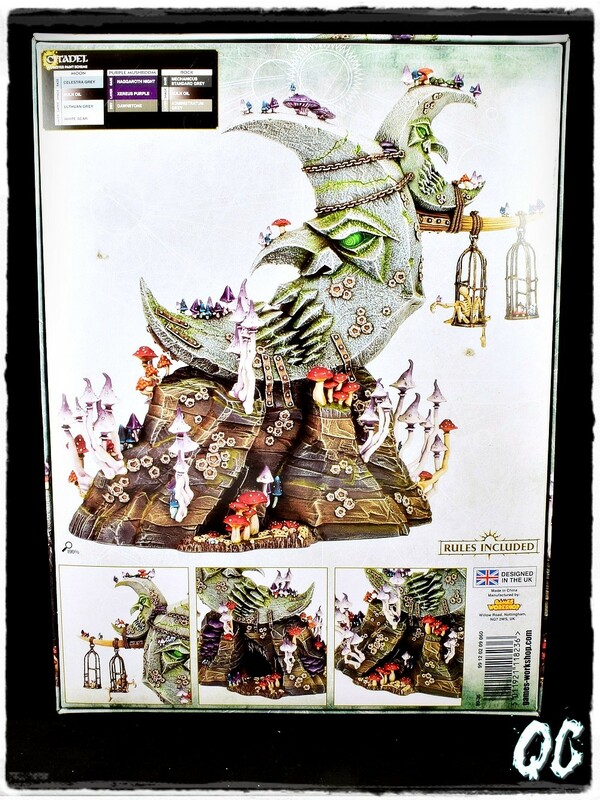 DansE MacabrE: Recenzja: Bad Moon Loonshrine od Games Workshop.Reviews: Bad Moon Loonshrine from Games Workshop. 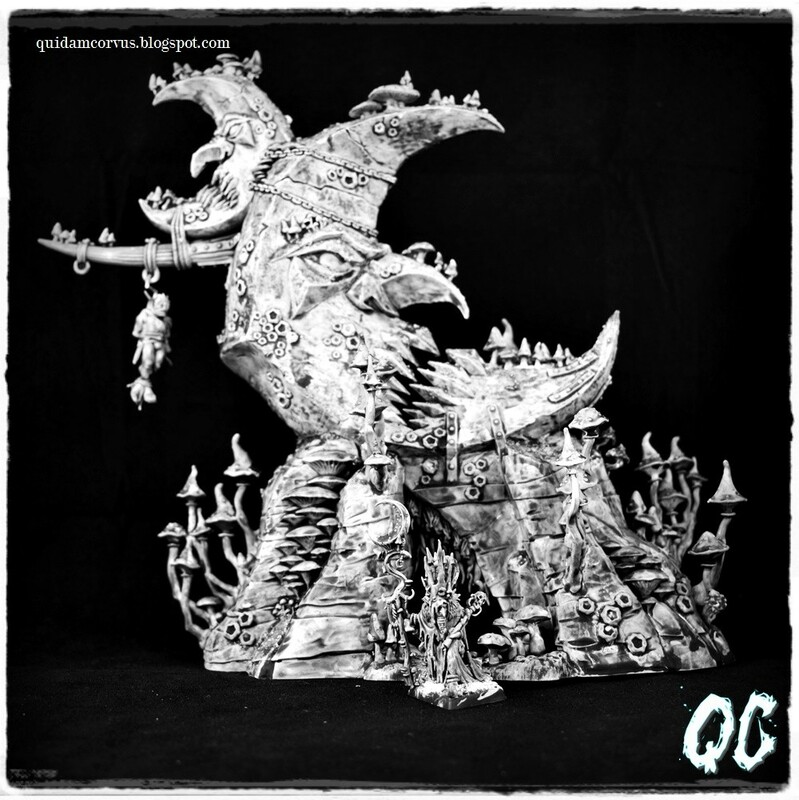 Recenzja: Bad Moon Loonshrine od Games Workshop. 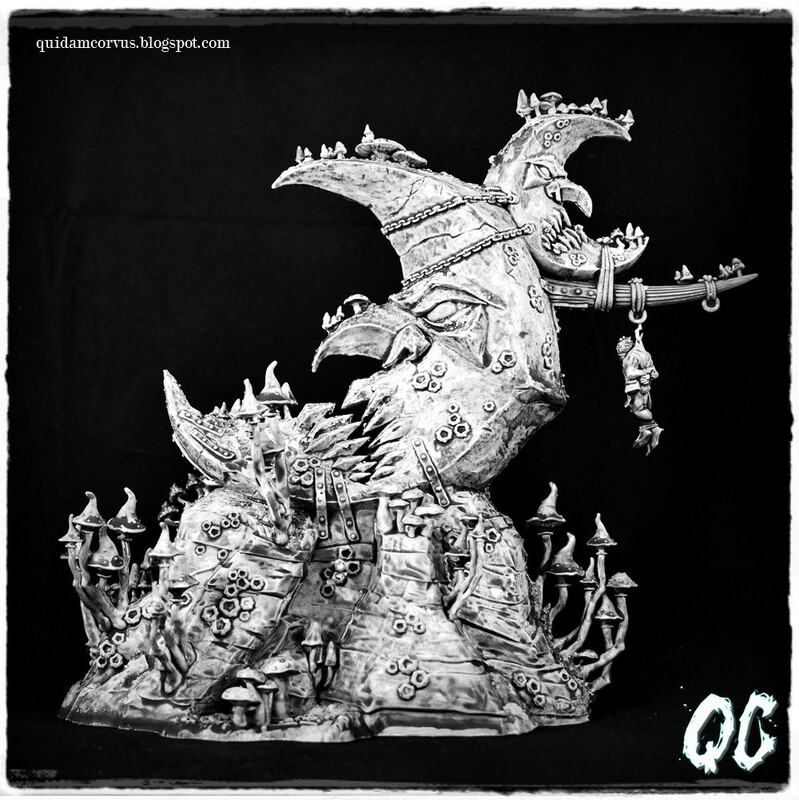 Reviews: Bad Moon Loonshrine from Games Workshop. Dziś na łamach bloga DansE MacabrE rozpakuję dla Was pudełko z modelem Bad Moon Loonshrine. A więcej informacji znajdziecie na stronie internetowej producenta. 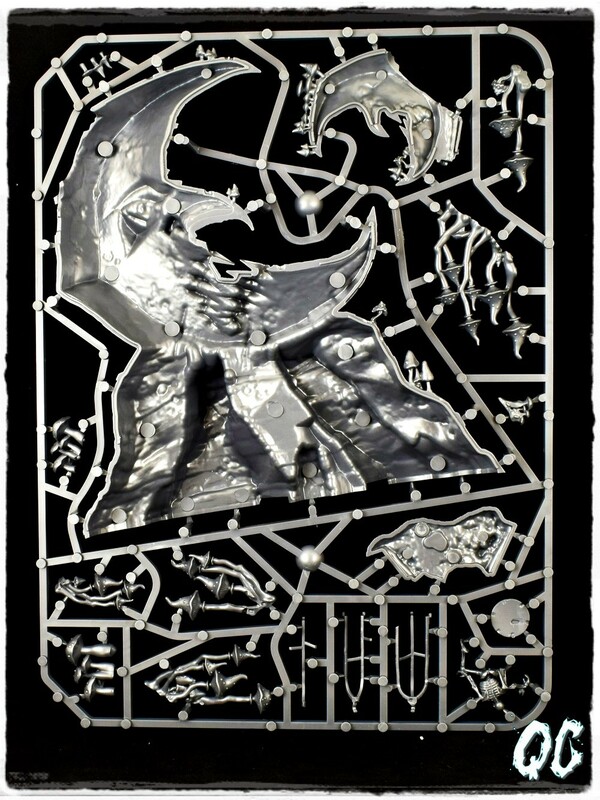 If you allow, today I will unpack the heavy box with model the Bad Moon Loonshrine. 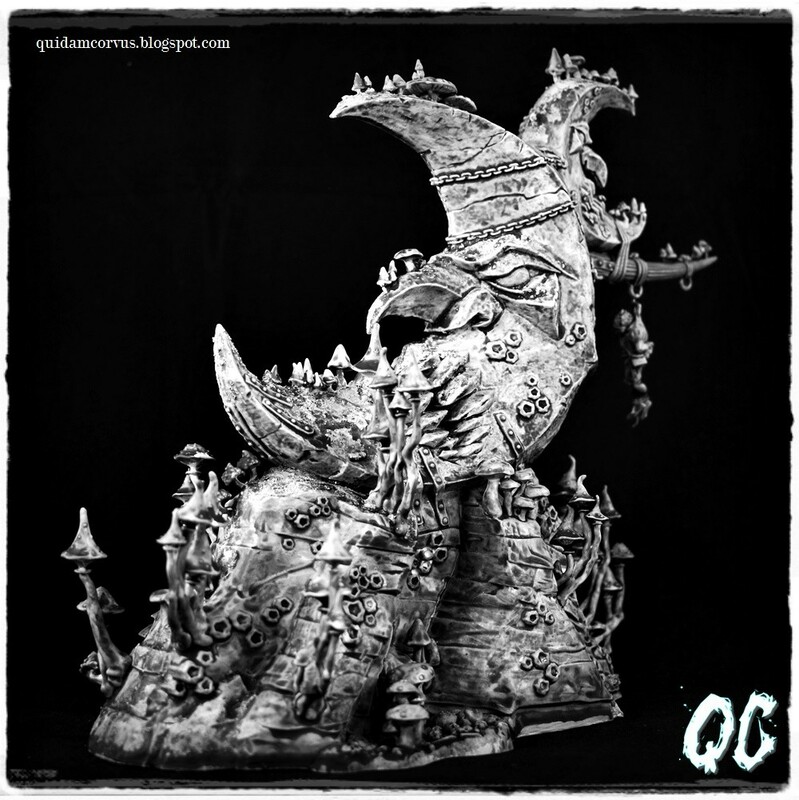 This is the second, next to Etheric Vortex: Gloomtide Shipwreck, a model from Games Workshop to AoS, which was in my collection. 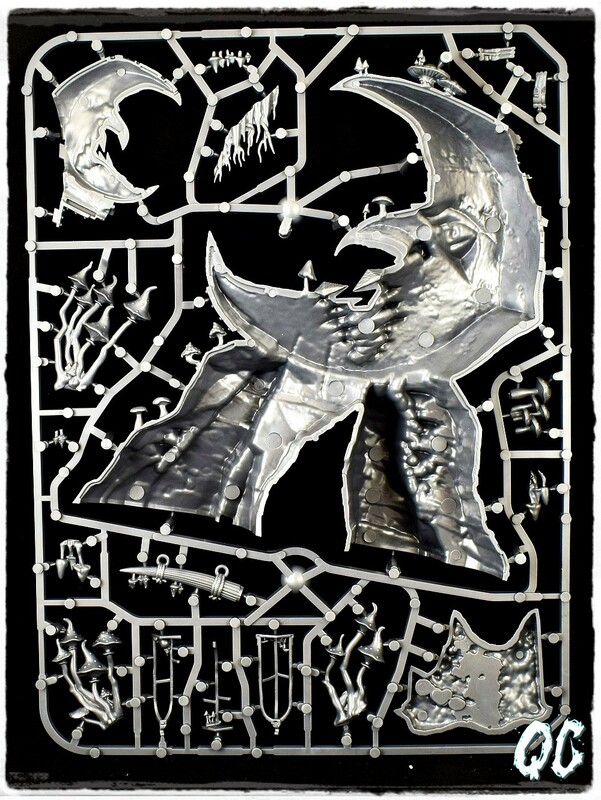 Sprues with many parts allowing for submitting the model I received packed in a solid, cardboard box. 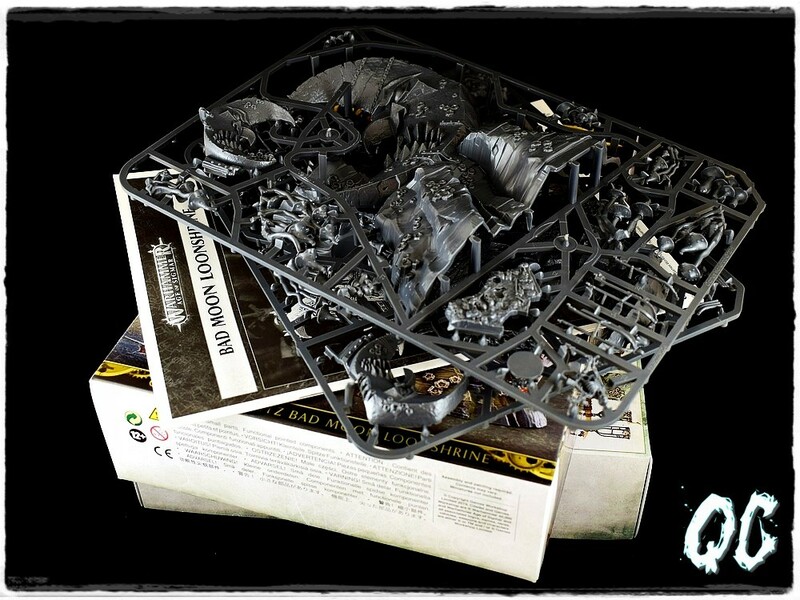 The Games Workshop team has placed photos of glued and painted element of the terrain on each side of the box so you can see the model quite carefully before buying. On the back of the box there are additionally placed close-ups on the details of the model and the paints used by painters from Games Workshop to paint Bad Moon Loonshrine. 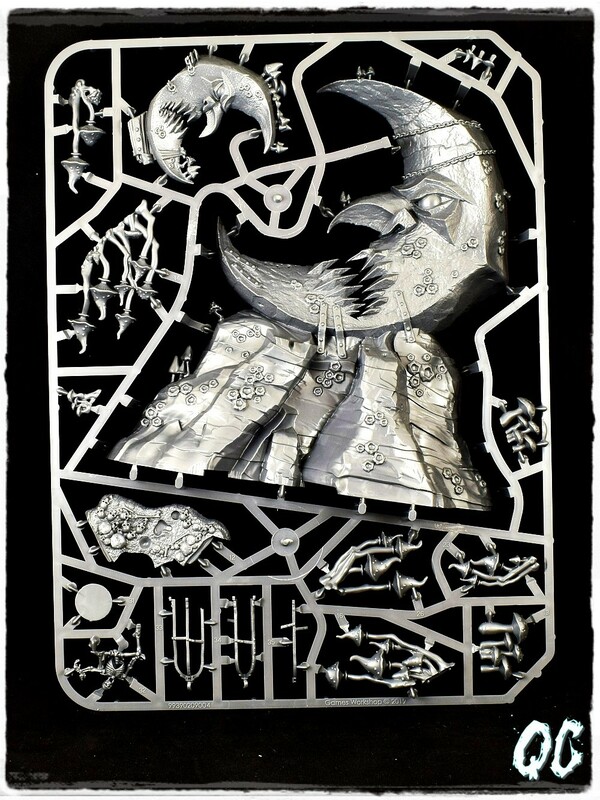 Inside, in addition to two solid sprues, there is also a black and white instruction that guides well through the assembly process. 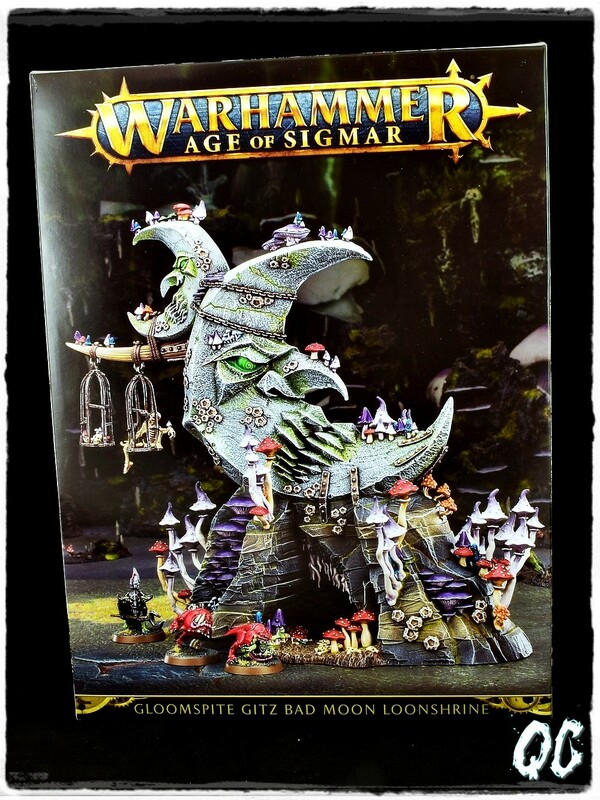 The last pages also contain the principles of the model, which is dedicated to the game Age of Sigmar. 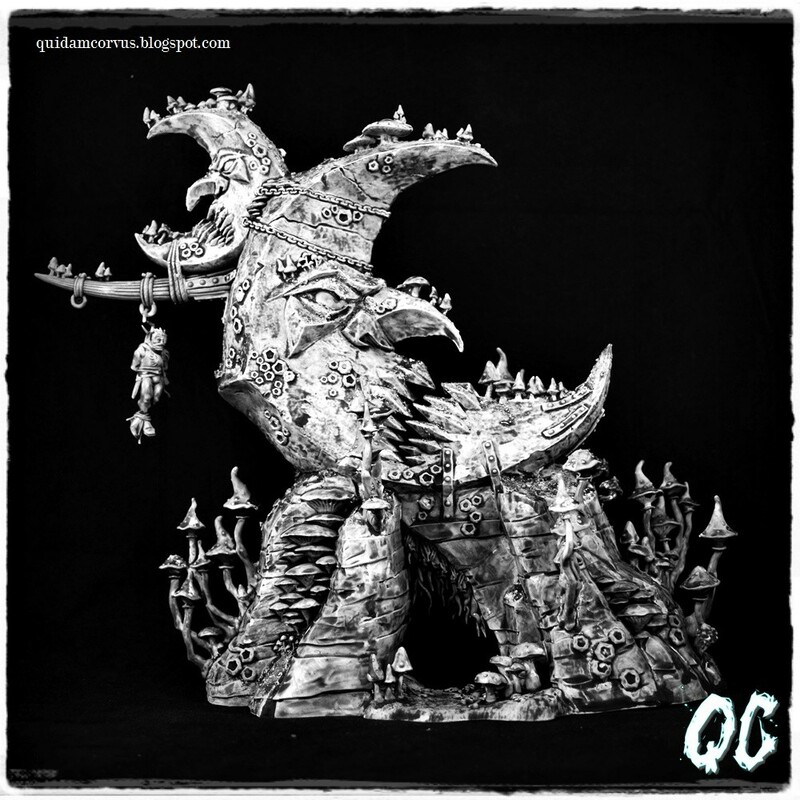 As for the design, workmanship and fitting of components, they are at the highest level, and the amount of details in which the model is equipped promises a lot of fun during painting. Despite the large size with the model gluing, I did not have any problems. I just put in the gap created along the joining of the left and right parts of the model. 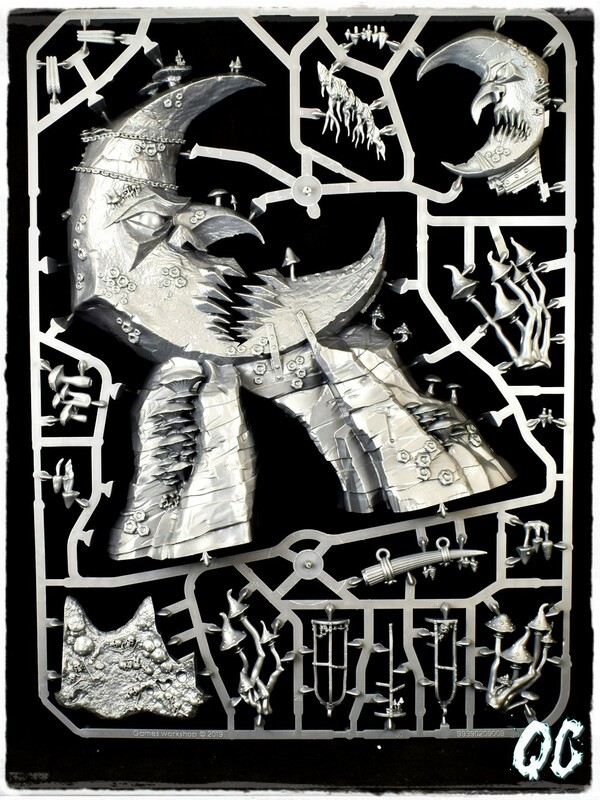 Bad Moon Loonshrine is a solid element of the terrain and it is definitely worth considering buying it at a local store where the price should be lower than the one on the producer's website. And more information can be found on the manufacturer's website.